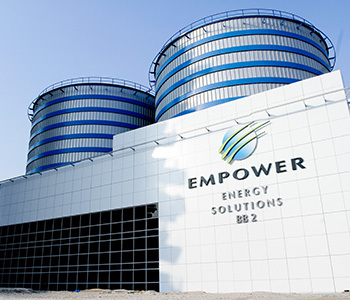 District Cooling Plant (DCP-02) is located in Business Bay Dubai, UAE. The built up area of the plant is 101,625 sq. ft. with a total capacity of 43,750 TR. This is the region’s first district cooling plant constructed using green principles and is a certified LEED gold building. Trans Gulf was responsible for the design and development of engineering drawings, plant and material selection, procurement, installation, commissioning and performance validation of mechanical and electrical chilled water process plant for the District Cooling Plant.